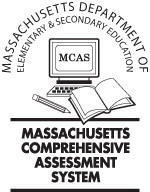 Over the year, we will be doing several MCAS practice prompts. The idea isn't to drown the students and teach to the test, but to keep them exposed to it. We will provide samples, exemplars, and strategies to approach the questions. To me, responding to open response questions is a life-long skill. No matter what you do in life, you will always need to be able to support yourself both written and orally. Students need to be able to do this with evidence. It needs to be clear, accurate, and easily understood. I try and maintain this as the main focus in all the work we do. Finding a purpose and applying it to everyday life will be far more beneficial than just being able to pass the MCAS. So I ask at home that you support your child in being able to substantiate all that they do as it is a vital skill to have.